Jim - here's another one of my bikes. I'll try and get some photos of the rest soon. 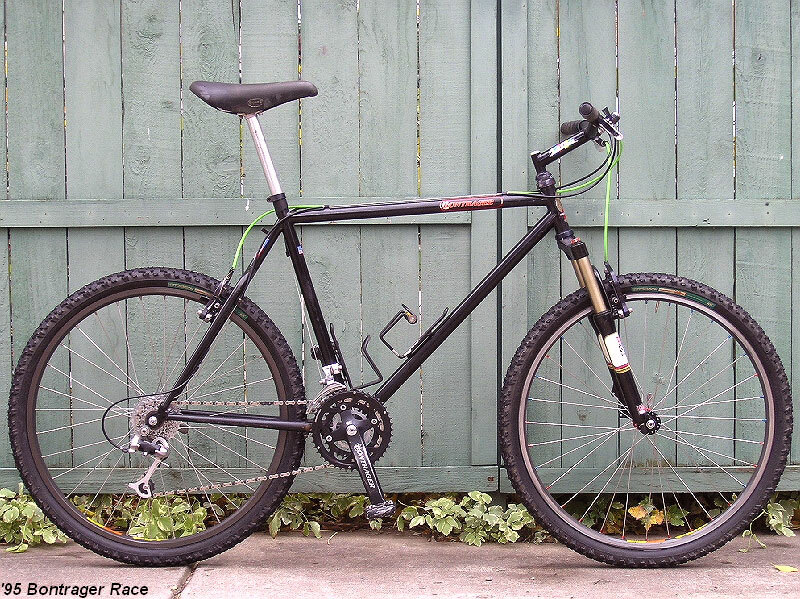 '95 Bontrager Race - made before the Trek days. 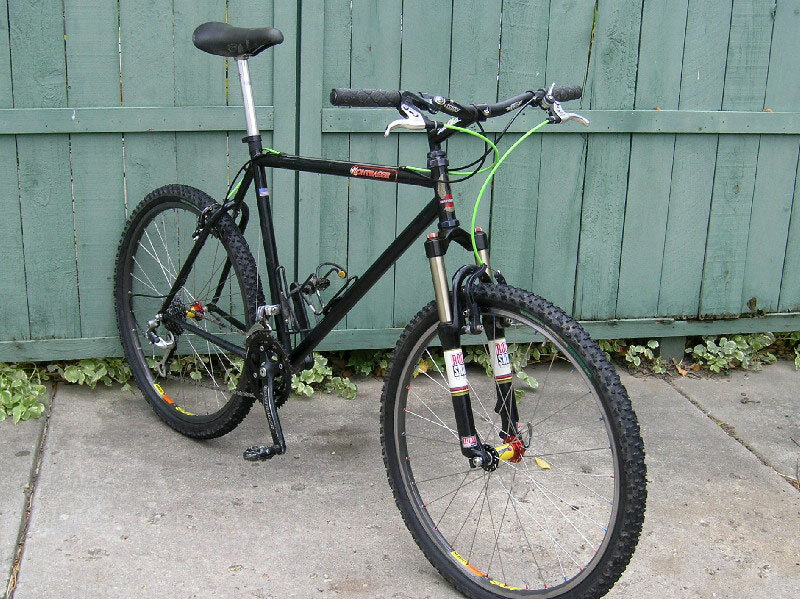 I bought this frame/fork new in '95 and just can't seem to ever let it go. It's gone thru many a part swap in the past 10 years but now sports a good collection of parts. 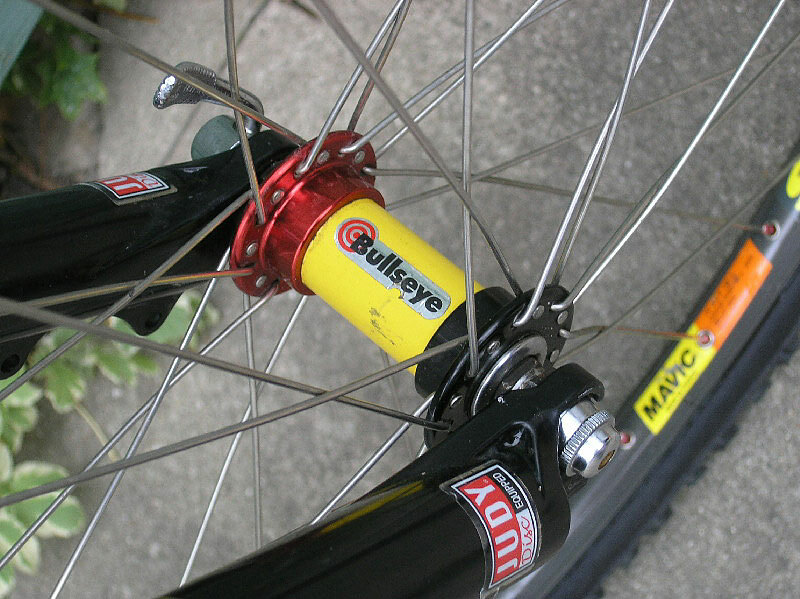 "Belgian Special" BullsEye hubs with axles and dust shields form a pair of Specialized hubs. Onza Pork Rib brakes. Jaguar mark II leather saddle from Japan - can't remember where this came from, but it's real comfy. Sachs Quarz front derailleur, XT rear. Shimano 105 7-speed dt shifters mounted on Paul's shifter mounts. 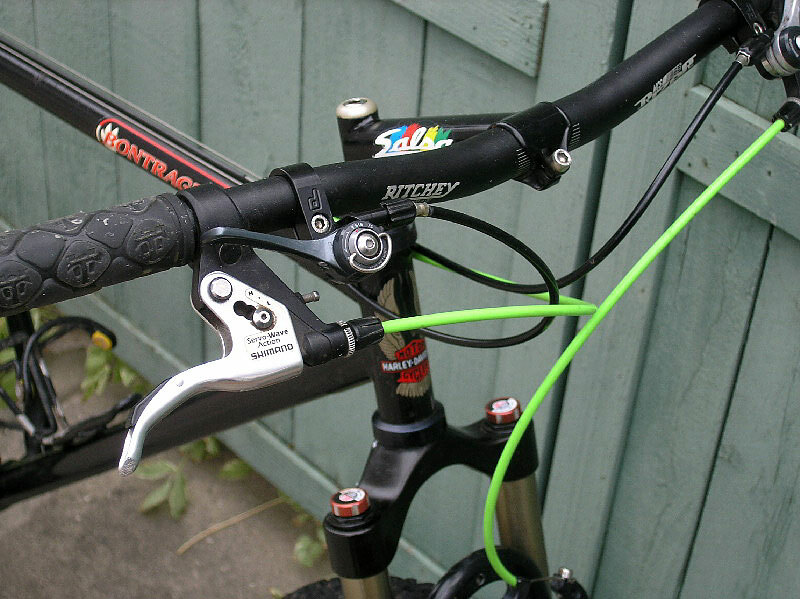 Neon Green brake housing - just because I had it. The Stronglight Headset and Salsa stem are the only 2 parts left from the original build. Even the paint has been replaced.